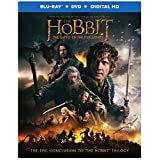 eFilmCritic - DVD/Blu-Ray Reviews For 3/23: "I Am The Wrath Of God! Who Else Is With Me?" 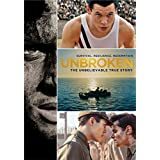 Although there are a number of big names among the titles in this latest roundup of newly released DVDs and Blu-rays, there are some pretty interesting smaller films available as well, including offering from some of the most notable filmmakers around. 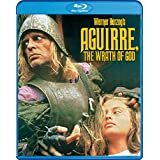 AGUIRRE, THE WRATH OF GOD (Shout! Factory. $24.97): Those of you who didn't have quite enough scratch to pick up Shout! 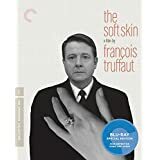 Factory's essential Blu-Ray collection of the works of master filmmaker Werner Herzog will be pleased to know that the films included are now coming out individually as well, including this 1972 masterpiece. 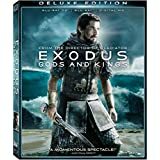 Set in the 16th century, soldier Don Lope de Aguirre revolts against his leader, who has been driving his troops through the Andes on a deadly search for the fabled El Dorado, and leads a group of men on a quest to conquer all of South America. To try to convey the power of Herzog's images and Kinski's performance into words is a near-impossibility--suffice it to say, once you see this film, you will never, ever forget it. ANNIE (Sony Home Entertainment. 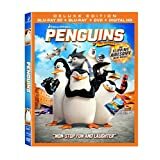 $30.99) If only that were true with this half-baked attempt to bring the smash Broadway musical version of the long-running comic strip to the big screen. Sure, the previous 1982 version was a disaster (largely due to the inexplicable decision to hire the wildly inappropriate John Huston to direct his first musical) but at least it showed some interest in the subject matter, which is more than can be said for this clumsy updating that adds a couple of new tunes, a subplot involving a political campaign and other such nonsense. 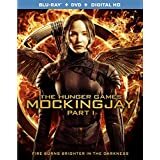 Worst of all, it wastes the talents of such normally winning performers as Quvenzhane Wallis, Cameron Diaz, Jamie Foxx and Rose Byrne on material that even a summer stock troupe might find to be wanting. BEST SELLER (Olive Films. 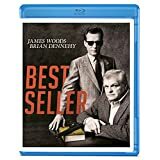 $19.95): In this unfairly overlooked 1987 thriller, Brian Dennehy plays a Joseph Wambaugh-like author stuck for a premise for his long-overdue next book when he makes the acquaintance of a former hit man (James Woods) who offers to tell his story and reveal the details behind his killings, putting both of their lives into danger in the process. With a typically clever and amusing screenplay by Larry Cohen (the guy who gave us such B-movie classics as "It's Alive" and "Q--the Winger Serpent") and engaging performances from the two leads, this is a modestly scaled but hugely entertaining thriller that is ripe for rediscovery. THE END OF VIOLENCE (Olive Films. $14.95): In this odd 1997 drama from Wim Wenders, Bill Pullman plays a Hollywood producer of violent junk whose viewpoint on life is radically changed after he finds him on the wrong end of a gun during a botched kidnapping. Although this was largely panned when it came out for being an overly earnest but ultimately lame reworking of the Preston Sturges classic "Sullivan's Travels," I continue to have a soft spot for it--it has an eclectic cast (including Gabriel Byrne, Andie MacDowell, Traci Lind, Udo Kier and the legendary Sam Fuller), a killer soundtrack and a subplot about the surveillance of an unknowing public that resonates even more strongly today than it did back when it came out. 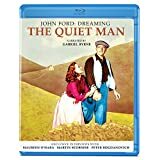 JOHN FORD: DREAMING THE QUIET MAN (Olive Films. 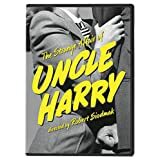 $29.95): This 2012 documentary offers viewers a behind-the-scenes history of the making of the 1952 John Wayne/John Ford classic via rare home movie footage of the shoot in Ireland and interviews with co-star Maureen O'Hara and such notable fans as Martin Scorsese, Peter Bogdanovich and Jim Sheridan. Though I must admit that I have never been the biggest fan of the film--a little too much blarney for my blood--but those who are kinder to it than I will no doubt have a lot of fun with this film and the extras, including an interview with O'Hara and a look at the original costumes and the horse race sequence. 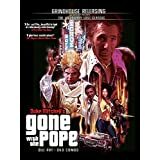 MASSACRE MAFIA STYLE/GONE WITH THE POPE ($29.95 each. Grindhouse Releasing): Duke Mitchell started out in the business as part of a nightclub act with Sammy Pettrilo that overtly aped the antics of Martin & Lewis (he was meant to evoke the former) that lasted for a few years (and which resulted in the cinematic glory that was "Bela Lugosi Meets a Brooklyn Gorilla") before he went off to do a solo act. In later years, however, he nursed cinematic ambitions of his own and went on to make these two rarely-seen exploitation items. The former, a 1974 low-budget riposte to "The Godfather," is a fantastically gory crime thriller in which he plays the son of a Mafia family gunning his way through Hollywood. 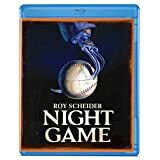 The latter, shot in 1975 but left unfinished when Mitchell died in 1981 (it was uncovered in 1995 and pieced together over a 15-year period by award-winning editor Bob Murawski), is an even wilder tale featuring Mitchell as a mobster with a plan to kidnap the pope and collect a dollar from every Catholic in the world as ransom. Grimy and gory in equal measures, these two films may not be especially polished but what Mitchell may have lacked in terms of cinematic style, he more than made up for in terms of energy and sheer artistic bravado--ever time you thing things can't get wilder or woolier, they do. For fans of grindhouse entertainment, these two discs (both of which are stuffed with bonus features including interviews with the participants, deleted scenes and even audio of a 1960 Mitchell concert appearance) are essential viewing. MONDOVINO: THE SERIES (KimStim. 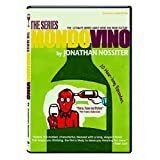 $39.95) A few years ago, filmmaker Jonathan Nossiter put out "Mondovino," a fascinating documentary chronicling the increasing globalization of the wine industry and how the tastes of a few people can determine what winds up in your wine glass. Here is the full-length and full-strength of what Nossiter came up with, a 10-hour miniseries that spans the entire globe to tell the entire story of contemporary wine production from the smallest vineyards to the boardrooms of the biggest Napa Valley producers that is is uncommonly gripping and fascinating even for those who don't actually drink the stuff. Other TV-related titles now available include "Hill Street Blues: Season 4" (Shout! Factory. 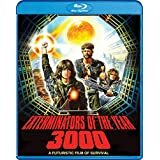 $34.97), "Mystery Science Theater 3000: XXXII" (Shout! Factory. $59.97), "Outlander: Season One, Volume One" (Sony Home Entertainment. $38.99), "Quincy M.D. : The Final Season" (Shout! Factory. 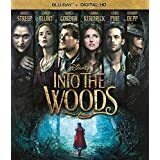 $39.97), "The Red Tent" (Sony Home Entertainment. $26.99) and "The Transporter: Season One" (Fox Home Entertainment. $29.98). 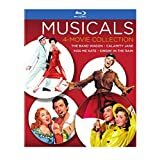 MUSICALS COLLECTION (Warner Home Video. 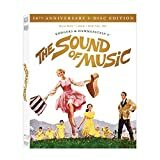 $34.99): Three classic musicals from the legendary MGM factory make their Blu-ray debut in this package. "The Band Wagon," arguably Fred Astaire's greatest film, finds him as a famous movie star helping to rescue the latest stage musical from a couple of friends from the hands of a hilariously pretentious director. "Calamity Jane" (1953) is a romp featuring Doris Day as the title heroine and Howard Keel as Wild Bill Hickok doing things that you would never see being done on an episode of "Deadwood." "Kiss Me Kate" is an adaptation of the popular 1948 musical about a once-married couple (Howard Keel and Kathryn Grayson and Howard Keel) cast opposite each other in a musical version of "The Taming of the Shrew" that features 3-D cinematography (for those properly equipped) and choreography from the then-unknown Bob Fosse. Oh, and if those three films weren't enough to convince you to pick up this set, Warner Home Video has also thrown in a little thing called "Singin' in the Rain" for good measure. 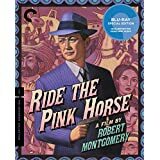 RIDE THE PINK HORSE (The Criterion Collection. 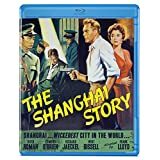 $39.95) Robert Montgomery starred and directed in this twisty film noir as a former GI who turns up in a small New Mexico town to track down the gangster who killed his best friend--without giving anything away, things get especially dark and brutal from this point on. Although the film had a lot of things going for it in addition to Montgomery's work as star and director--a screenplay by Ben Hecht and Charles Lederer, cinematography by the great Russell Metty and a supporting performance from Thomas Gomez that made him the first Hispanic actor nominated for an Academy Award--it has been somewhat overlooked in the histories of noir genre (possibly because the title makes it sound more like a western than anything else) and as this Blu-Ray (which contains such extras as a commentary from noir experts Alain Silver and James Ursini and a 1947 radio adaptation of the film featuring Montgomery, Gomez and co-star Wanda Hendrix) clearly demonstrates, it is one long overdue for reappraisal. 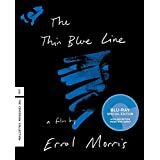 THE THIN BLUE LINE (The Criterion Collection. 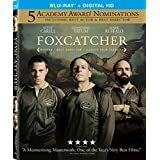 $39.95): Those of you who are now jonesing for another true crime tale now that "The Jinx" is done, why not give a look at the 1988 film that practically invented the genre? In Errol Morris's stunning examination of the case of Randall Dale Adams, a man languishes on Death Row for the murder of a Dallas cop that he swears he didn't commit and through his own investigative work and a series of revealing interviews, the filmmaker makes a series of stunning discoveries. Gripping even if you know the outcome, this is one of the classics of the entire documentary genre and if you need any further confirmation of its greatness, consider that when it came time to award the Oscar for Best Documentary for that year, this film didn't even make the short list. To go along with this long-overdue Blu-Ray release, Criterion is also releasing a double feature disc of Morris's first two documentary features, "Gates of Heaven" and "Vernon, Florida" (The Criterion Collection. 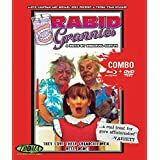 $39.95)--the former is his 1978 masterpiece following the owners and customers of a couple of California pet cemeteries that remains one of the strangest, most audacious and most touching films that I have ever seen and the latter is an undeniably entertaining look at the denizens of a small and strange Florida town. Both discs contain a number of bonus features, the best of which is "Werner Herzog Eats His Shoe," a self-explanatory 1980 short by Les Blank chronicling the legendary filmmaker paying up on a bet that he made with Morris that "Gates of Heaven" was actually completed, he would literally boil and eat his shoe. Needless to say, both of these discs are essential viewing for any film fan. TOP FIVE (Paramount Home Video. 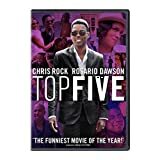 $29.99): In Chris Rock's third directorial effort, he plays a hugely successful movie star who is goaded by a crusading reporter (Rosario Dawson) to reflect upon the career as an edgy comedian whose work once meant something that he abandoned to be the famous star of high-paying junk that couldn't be smoother if it tried. In other words, this is basically Rock's "Stardust Memories" and while it is nowhere near that masterpiece--largely because Rock still is not entirely comfortable performing opposite other people in scripted scenes--it is easily the best of his directorial efforts to date and the first to suggest that he might one day make a film as powerful and funny as his groundbreaking stand-up work. 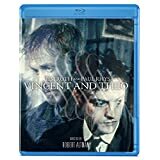 VINCENT & THEO (Olive Films. $24.95): Two years before making his spectacular comeback with the 1992 hit "The Player," Robert Altman made this film, originally a commission for European television, about the relationship between Vincent Van Gogh (Tim Roth), the artist who is now celebrated as one of the all-time greats but who was all but ignored during his lifetime, and his brother Theo (Paul Rhys), a gallery owner who supports his sibling and struggles to display his genius to a world that doesn't seem to care. Although one of the least Altman-like of Altman's films--everything is straightforward without any of the subversions one might have expected--this is still an uncommonly smart and strong film about the struggle between art and commerce and artistic temperaments that features excellent performances from its two leads to boot.